Over the next few days, many Mac-toting photographers will be upgrading their operating system to Mac OS X El Capitan. Before doing so, take a few minutes to prepare your machine. Not everyone has the luxury of more than one modern computer. But if you do, prepare your secondary machine for the upgrade first. This will give you the opportunity to test mission critical applications without disrupting your daily workflow. A big test for many of us will be seeing how Aperture performs on the new OS. The results of that testing, and others, will determine the timing for adding El Capitan to your primary computer. We all know to back up our machines, nothing new there. But the transition to the new OS can be streamlined by making sure your iCloud account is up to date. This will simplify data transfer of Address Book, Calendar, Safari bookmarks, etc. As for your photo content and documents, those should be on hard drives. Again, going back to Aperture and iPhoto, make sure those libraries are in a safe place so you have all of your options available moving forward. 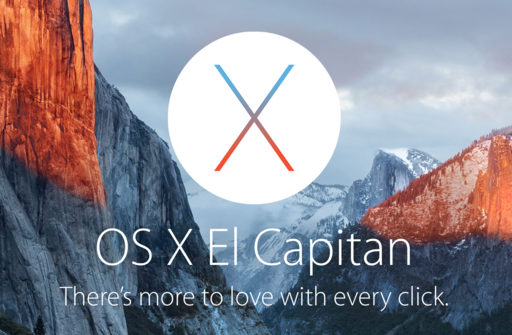 From all indications, the transition from Yosemite to El Capitan should be a smooth one. Taking these few basic steps should seal the deal.